The above quote from renowned contemporary philosopher Alain Badiou opens up a world of theoretical enquiry into cinema as an art form and where it might be heading. However, as always, targeting the specifics of this interesting ‘something’ is not an easy task. This article will break down Badiou’s thought on cinema and hopefully open a way for more exciting thought on the cinema and appreciation of such art works. We begin by asking the interminable question “What is Cinema?” It is an everlasting question because there is no definite answer. If cinema is an art form, then why can’t it be conceptually defined like all other arts? If not defined, then what is the special ingredient? For example, poetry is an attempt to say what cannot be said, theatre is a battle to form an external relationship between human beings and an audience, and painting aims to create the visible from the invisible – these are the fundamental ideas that promote and invoke these arts. There will always be further ideas on such a quest, but it is clear that cinema holds no such distinction. I always like to argue that cinema is a collective of all these ideas and that’s what makes its individuality eternal, it is never shaped by a definition, and therefore there can be a positive infinity in cinema production. However, as Badiou makes clear from my previous assumption, cinema itself is a very complex question and therefore cinema as an art must also be a very complex question. It is rather simple really: cinema is complex, so hence anything we wish to attribute to cinema (philosophy, art, psychology, archaeology etc.) will also become complex. A philosophy of the cinema is a complex idea; we can never really know what cinema is. Badiou even attempts to postulate cinema as the “history of complexification of itself.” These layers inherent to cinema form a unique relationship whereby the spectator falls under the spell, or inside the cinema according to Badiou, but without knowing its real signification. Cinema is essential in the collective existence of today’s world and yet it continues to be something that we have no firm notion off – certainly from a theoretical standpoint, but arguably by way of practice also. Is this not a very dangerous idea? Whenever we are considering the thing of something, or the what is, we need to retrace our passage back to some custom of historical antiquity. Plato is a good denominator to begin with, especially for cinema. With philosophy we are on a search for truth in life, or a true life, something that is pure and in accordance with our entire make up. How does cinema impact this quest? Can cinema be true to life? These questions are inscribed into every film, and it often comes back down to the spectator’s ability to suspend their disbelief: to give themselves whole-heartedly over to the sequence of images and sounds on the screen. If they can do this then the images they witness are true, at least true to themselves. Even so, this it too general, we need to look beyond the spectator and take the films at face value. What makes a good film? How can we identify good film with art and philosophy? If Plato were alive today, he would probably be feeling very ill. We cannot escape images today. The famous cave allegory was a false reality for Plato, but it is the founding movement of cinema: moving shadows cast themselves across the walls of the cave once backlit from a great beam of light. This was a conviction of truth: the composition is an illusion! Illusions cannot be so! Here is the answer: cinema does not claim to be such a false reality, cinema knows very well that it paints a grand composition of illusion, and its images are no substitute for contamination, they are didactic images that speak off new formations and new bonds of knowledge! In other words, cinema is an answer for finding the truth in irreality; cinema knows that it lies, but it is a lie of edification. Cinema is alive and speaking to us. Cinema has possibility, it is an art of possibility perhaps, and this is why it must have a relationship to philosophy and vice versa. Because cinema is so alive, it is constantly in battle, a fight between art and non-art. 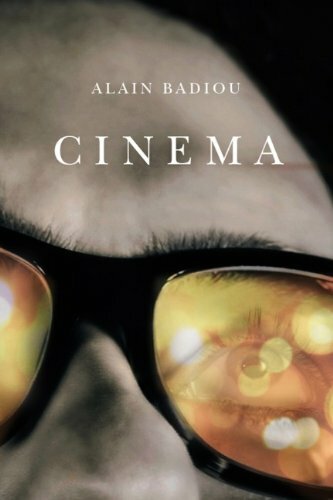 It is here that Badiou can draw out his belief that “cinema thinks”. By way of this vision in which a contemporary world battles with art through film, we are able to distinguish the good films from the bad. If, permitting to Hegel also, art is something of the past and cinema takes on a contemporaneous position as the ‘impure art’, then through constructing a successful conflict of images one has created a good film. This conflict is within the images themselves as well as the audience because the images require contemplation and are often ‘vulgar’ or disruptive. Cinema is therefore not a peaceful art and furthermore, this aforementioned fight between art and non-art is allowed to erupt between its fences. We can then resolve, in line with Badiou’s claims, that the more impure the artwork/the film, the greater the present battle is within the image itself and the better the film! While this is all very metaphysical and might seem dismissible to most audiences, Badiou has targeted the underlying causes for our connection with the image from a strong philosophical standpoint. The point of most significant is this totalisation of cinema: cinema as the non-essential but all-permitting feature of new possibilities and limitlessness. Cinema creates new evaluations and new participations in dialectics. For example, great music can be given a new education in films. 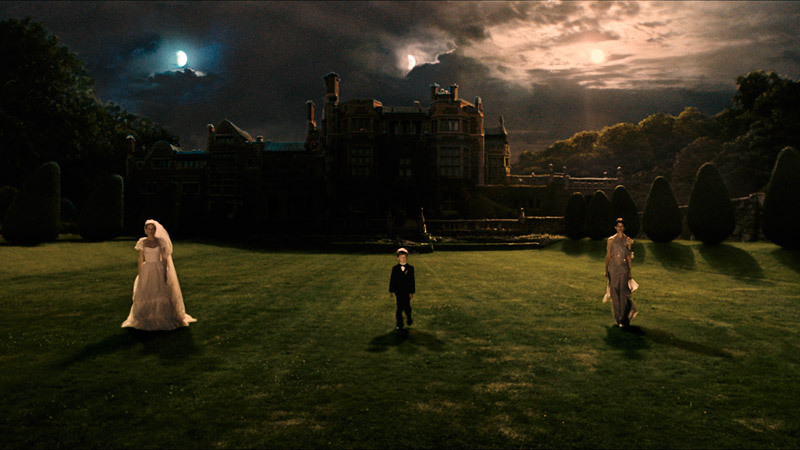 Lars Von Trier’s Melancholia features music from the prelude of Wagner’s Tristan und Isolde. The music is played at different points throughout the film and at each instance is inscribing new meanings onto the image. There is battle with the image and the music is forced to engage in new directions. The range of possibility is astonishing. It is here that cinema takes a form of judgment on all the other arts. Badiou is telling us to “go to the cave.” We must approach cinema as a means and become involved in the democratic dialectics of our modern education. If none of this speaks to your way of thinking, then you must focus on the idea of possibility: the search for possibility. Cinema makes the search possible. You can watch the full video that inspired this thought below. Posted in Cinema, LiteratureTagged Alain Badiou, Being and Event, Cinema, cinema and philosophy, Film Essay, French Philosophy, Lars Von Trier, Melancholia, Modern Philosophy, Philosophy, What is Cinema? I just an enthralled cinephile with no formal education in the subject but i think the author in the second chapter takes an obvious approach in discussing film through avoiding judgment in order to ask the question of how q film could lead us through a journey that would lead to a distinct discovery not found anywhere else. Therefore, the author proposes the inclusion of forms of art that have meaning, sense, and most importantly a profound philosophical understanding that could change the society through reflecting real issues rather than endless twisted plots. 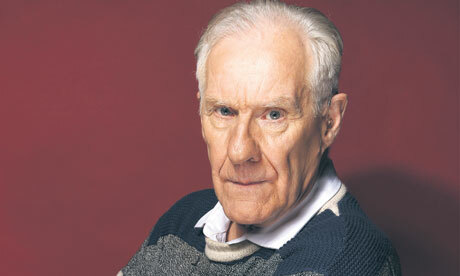 Badiou also mentions that film is like the seventh art as it interacts with almost every other form of media. Through one of his most critical chapter of the ‘Cinema as Philosophical Experimentation’, the author brings out his bridging link between cinema and philosophy. The author thus explores cinema as a form of art to the masses, as well as a serious subject of philosophy that could help in thinking and developing of a coherent social progression. In the ‘cinematic culture’, Badiou explores the origin and history of cinema first in order to determine what culture it takes. By understanding the culture and the tradition of such a genre, it would be easier and more possible to ensure that every other person follows it. An example is the directors in movies who need guidance and a formal structure on what culture the cinema follows. The author thus explores whether the culture in cinema is existent in the first place, and if not, what it should be or represent. Given how the author uses cinema as a platform to represent the backdrop of human existence, one of the most significant chapters is the example of applying cinema to a given society to reflect its culture and civilisation of the people. The chapter of ‘Switzerland: Cinema as Interpretation’ first brings out the emptiness and lack of culture ion the country. Switzerland is composed of different people from different regions of the world, thus creating a neutrality of language and culture. Thus, with three national language of French, German and Italian, as well as lack of a unifying culture, there is nothing that holds the country together. Moreover, the country does not have a common unifying history of colonization nor fighting any war. Instead, it is filled with people from different countries with hopes and dreams for businesses who just consolidate and move to the country without having nay personal attraction to the culture of the country that is non-existent. Thus, Badiou points that many artists hate Switzerland for its lack of a background, history, and useful culture on what to base art, especially cinema. Godard asks just like Badiou on what would be communicated in a Swiss film where there was no war, revolution, or colony, thus making it empty. However, despite all the emptiness and lack of culture, some films have been able to pass across a useful message to the people in the country. Some directors such as Patricia Moraz have made films that help to highlight the plight of the country. Through these films, the truth about the lack of culture and the confusion of the country where children and even older people do not have special days or special memories to cherish about the country itself. Richard Dindo takes advantage of the fact that Switzerland evolved from the enigma of confusion and lack of culture, thus occurring by accident. Thus such complex art could be a useful tool towards building the understanding of the country and how to create a newer backdrop of the reflection of the society given the lack of culture, belonging, and national identity.